There are many Filipino critics complaining the Philippines' pageant winners should have gone to what they called "exotic pure Filipina". For the past years, most of our representatives for international competition are with mixed race. Most of them have this mixed-blood from different races or with foreign-sounding last name. And this issue with our beauty queens for not being "pure Filipino" had attracted some criticisms. Some of Pinay queens who experienced wide range of criticism for being mixed-race that has been directed at them, much of it on social media, are Miss Universe 2015 Pia Wurtzbach (daughter of Filipina mother and German father), first Pinay Miss World Megan Young ( half-Filipina and half-American), the British-Filipina beauty reigning Miss Universe Philippines 2017 Rachel Peters, past Miss World Philippines titleholders and many others. They may not be literally pure Filipino but their heart is 100 percent Filipino. "Every nation is a group of people that happened, yes accidentally, to live together and mingle and have a common fate". 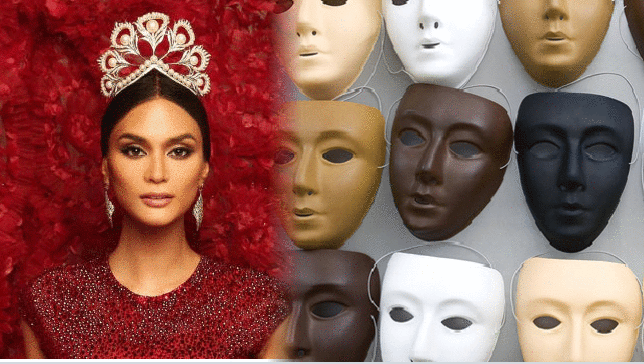 Let's accept the fact nowadays that the Philippines has its riotous mixture of bloodlines, even in other countries there are more migrant than native bloodlines. Like cultural anthropologist Dr. Fernando Zialcita said: "Mixing is common. It is normal for humans to mix." There are now more mixed-race children than ever before. 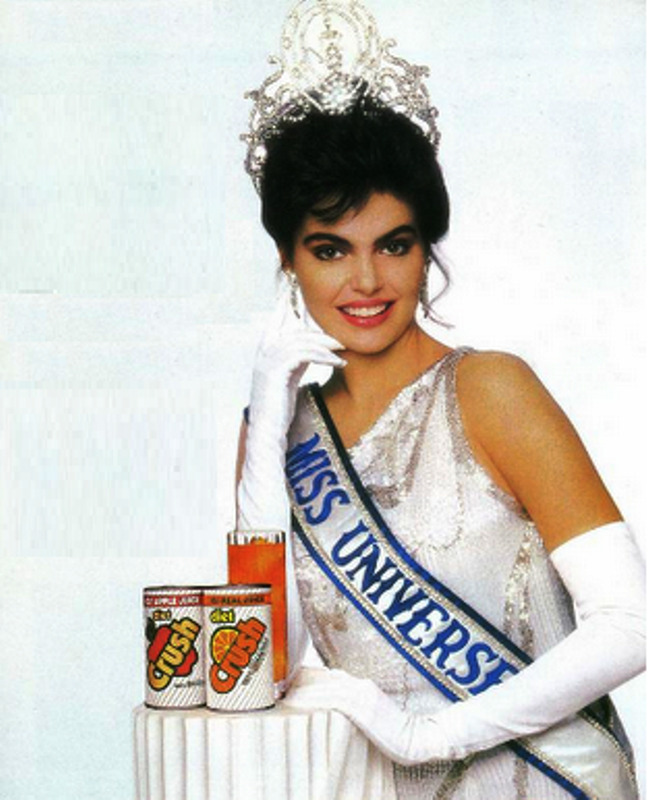 Here are the 12 Miss Universe queens you probably didn't know were Mixed-Race! 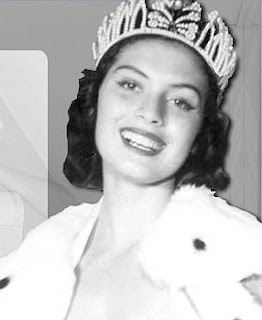 Let's start first with the Miss Universe winners and for the next blog, we will be featuring half-breed queens of Miss World, Miss Earth and Miss International. Gabriela has Swiss and German heritage and also holds Swiss citizenship due to her Swiss grandfather from Lausanne. Her family name Isler is a common Swiss family name. Ethnicity: 75% Italian 25% Irish. Her father is of Italian descent while her mother is of Irish and Italian ancestry. Glebova was born in Tuapse, Russia. Natalie is the daughter of Anna Glebova, a teacher, and Vladimir Slezin, a sailor. 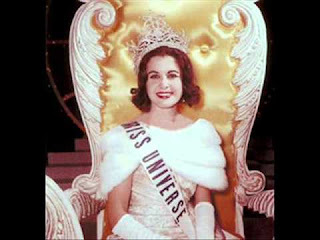 The family immigrated to Toronto, Canada, when Natalie was thirteen years old. Nolan is of Irish and Italian descent but born in Argentina. Rizk was born in Beirut in a Christian household, to a Lebanese father and Hungarian mother. Palacios was born in Madrid. Her father was a Venezuelan actor and her mother was a Spanish actress with a prolific acting career in Venezuela. Venezuelan-born Alicia Machado is the daughter of a Cuban father and Spanish mother who immigrated to Venezuela. Brook's Korean grandfather emigrated to Hawaii in the 1950s. She is of Korean, Hawaiian, Chinese, Dutch, Portuguese, English and French ancestry. Pasek is the daughter of a Panamanian homemaker and Polish engineer. She lived in Ukraine for a year, but spent most of her childhood in Poland. After her mother finished her studies in chemistry, the family moved to Panama. Ethnicity: Dominican Republic, Cuban (Spanish, distant English, possibly other). Her ancestor, José Nicolás Vega Pichardo, was a Cuban immigrant who arrived in the Dominican Republic in the 1860s. Jose’s ancestry can be traced back to the English king William the Conqueror, and the Castilian king Alfonso X.
Stefania Fernández is of Ukrainian, Polish, Russian and Spanish origin. Her mother is Nadia Krupij Holojad, whose Ukrainian father immigrated from the Soviet Union during the period of Communist rule. Let's embrace multiculturalism and diversity!